Julie is a trial attorney who advocates for her clients in the courtroom. Her practice is dedicated to representing people who have been harmed by a product or professional negligence, helping families who’ve lost a loved one pursue wrongful death claims, and representing people and companies who have been the victims of fraud, insurance bad faith and breaches of fiduciary duty. Julie has been consistently selected by her peers as a South Carolina Super Lawyers’ Rising Star, a distinction reserved for 2.5% of attorneys practicing across the state. In 2016, she was selected to participate in the American Board of Trial Advocates (ABOTA) National Trial College at Harvard University. In 2018, she was asked to join the ABOTA faculty as a Teaching Fellow at the National Trial College at Yale University. 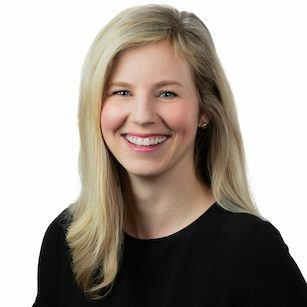 Frequently recognized for her service to the South Carolina Bar and her community, Julie was honored with the Young Lawyers Division President's Award each year from 2015 - 2017. Julie was named Young Lawyer of the Year by the South Carolina Bar in 2017 for her contributions to her profession and community. Julie is passionate about civics education and frequently visits classrooms around the state to engage students in critical thinking about their rights and responsibilities as citizens. She worked to create the Your Big Idea Instagram Scholarship which is sponsored annually by the Young Lawyers Division's iCivics Committee and is open to all high school juniors and seniors. Your Big Idea was selected as the 2018 LexisNexis Community & Education Outreach Award by the National Association of Bar Executives. She is the Chair of the Torts and Insurance Practice Section Council of the South Carolina Bar. She has previously served as a member of the editorial board of the SC Lawyer magazine and as an adjunct faculty member at the Charleston School of Law. Julie is married to Thomas Rode, a fellow Charleston attorney, and they live in West Ashley.